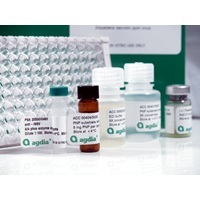 This ELISA test is a qualitative serological assay for detection of Tobacco mosaic virus (TMV) in crops including vegetables, fruits, and ornamentals. This ELISA has a wide cross-reactivity with other Tobamoviruses. For a complete list click here. Tobacco mosaic virus is an extremely stable virus and can easily infect adjacent plants and contaminate all kinds of surfaces, such as benches, pots, and tools. This test reacts with a variety of viruses from the Tobamovirus genus. 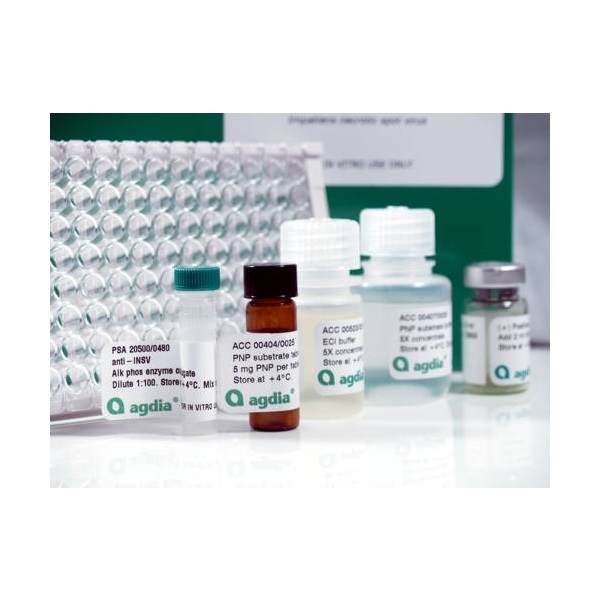 The list below represents Tobamoviruses that have been experimentally detected by Agdia’s TMV ELISA and further verified through PCR and sequencing. This test may, and likely does, cross-react with other Tobamoviruses that have not been experimentally verified by Agdia. Despite the broad reactivity of this test, it is recommended that specific viral tests be used when available as they are optimized for test specificity and sensitivity which may exceed the sensitivity and specificity of the TMV assay to other Tobamoviruses. If you have confirmed detection of a Tobamovirus not on this list, please contact us.